LUANDA, Sep 3 2015 (IPS) - Slums are a curse and blessing in fast urbanising Africa. They have challenged Africa’s progress towards better living and working spaces but they also provide shelter for the swelling populations seeking a life in cities. Rural Africans are pouring into towns and cities in search of jobs and other opportunities, but African cities – 25 of which are among the 100 fastest growing cities in the world – are not delivering the much needed support services, including housing, at the same rate as people are demanding them. The United Nations Human Settlements Programme (UN-Habitat) projects that nearly 1.3 billion people – more than the current population of China – will be living in cities in Africa in the next 15 years. Africa’s urbanisation rate of four percent a year is already over-stretching the capacity of its cities to provide adequate shelter, water, sanitation, energy and even food for its growing population. Safe and resilient cities and human settlements is one of the aims of the Sustainable Development Goals (SDGs) to be agreed on in New York next month. As the SDGs replace the Millennium Development Goals (MDGs) launched in September 2000, UN-Habitat has largely succeeded in meeting the target of taking 100 million people out of slums by the time the MDGs expired in Asia, China and part of India … but not in Africa. 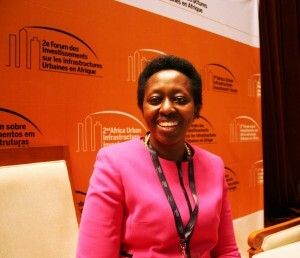 However, Tokunbo Omisore, past president of the African Architects Association, believes that Africa can solve its slums situation by planning and developing towns and cities that strike a balance in the provision of housing, water sanitation, energy and transport while luring investments to create jobs. According to Omisore, the problem lies in the fact that so far settlements have been developed for people but not with people, and he asks if Africa wants the humane aspects of its cultural values and heritage reflected in its cities or has to replicate the cities of developed nations to become classified as developed. “Slums and sprawls demand understanding the reasons and problems resulting in their existence and identifying the class of people living there,” says Omisore. At a time Africa is grappling with the issue of land tenure, particularly in agriculture, limited and often expensive land in urban settlements is posing the question of whether Africa should build up or build across, and there are those who argue that densification is the answer to Africa’s housing woes. At the 2nd Africa Urban Infrastructure Investment Forum hosted by United Cities and Local Government-Africa (UCLG-A) and the government of Angola in Luanda in April, Aisa Kirabo Kacyira, Assistant Secretary General and Deputy Executive Director of UN-Habitat argued that densification is an avenue for the transformation of Africa and its cities. “If urbanisation should be possible and if we are going to build landed housing without going up, it simply means it will be expensive, but if we have to densify then we need to go up,” said Kacyira. Kacyira also argued that by planning, reducing desertification and recycling waste, African cities can help reduce their carbon footprint, a key issue on the post-MDG agenda. 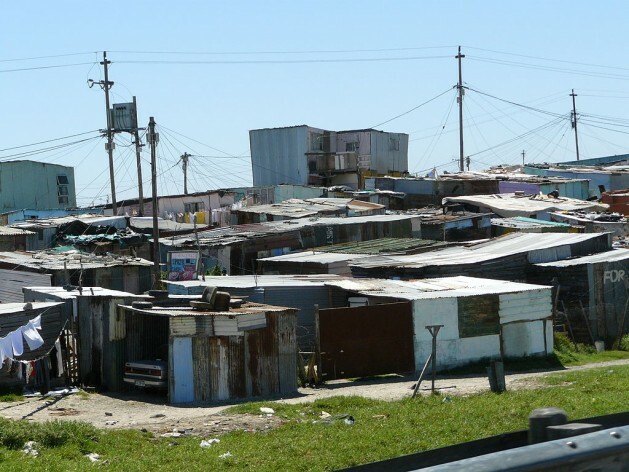 Housing in Africa. Muungano Wa Wanavijiji, a federation of slum dwellers, has partnered with Shack/Slum Dwellers International to provide decent shelter for people living in slums by creating a low cost three-level house called ‘The Footprint’, which costs 1,000 dollars. The project has built 300 houses in two settlements this year. Dwellers pay 20 percent towards the structure and are given support to access a microloan covering 80 percent of the cost. The UCLG-A network which represents over 1,000 cities in Africa, estimates that Africa needs to mobilise investments of 80 billion dollars a year for upgrading urban infrastructure to meet the needs of urban residents.